There is something so magical about the architecture of Sicily, a melting pot of design features. Here are some photos of Villa Palagonia in Bagheria, 15 km from Palermo, in Sicily, southern Italy. 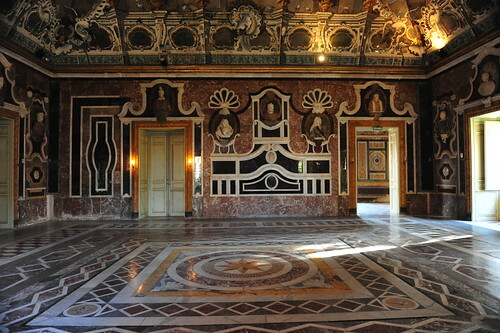 The villa itself, built from 1715 by the architect Tommaso Napoli with the help of Agatino Daidone, is one of the earliest examples of Sicilian Baroque. And another amazing Sicilian Villa which is for holiday rent Villa Trombadore..
And on the island of Capri, this villa is for sale..